Wedding in the family stressing you out? Or long work hours taking a toll? Or maybe you just feel like pampering yourself - in any case, there’s a new app in town that will spoil you to the core with amazing offers on all your wellness treatments. Spas, salons, Ayurvedic therapy - get your pamper sesh on with ditto. 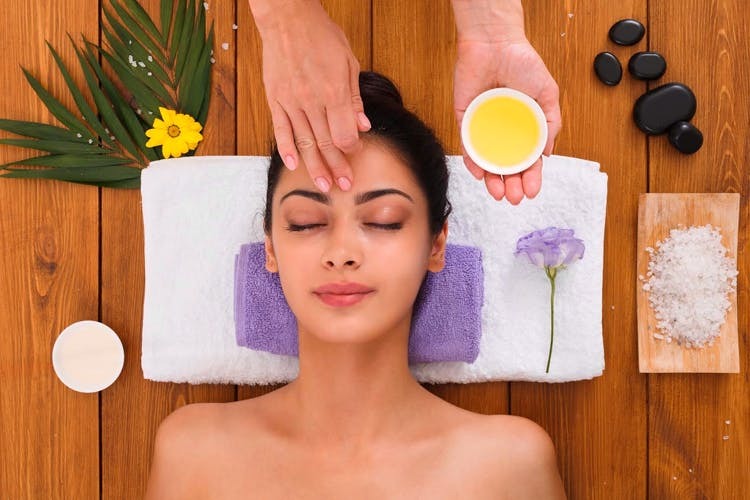 With real time appointments, free cancellations/rescheduling, offers starting at INR 150 - these folks have partnered with over 600 places in the city to give you that much-deserved rejuvenation session. They are on a roll to standardise the spa/salon experience - be it with the type of services or with the pricing. Here’s a list of 6 experiences that we think you should check out. Escape the real world and have your very own spa-cation at the one & only Spa by JW Marriott. From foot reflexology to great deep-tissue massages combined with the extravagant ambience, they are giving us some major luxury feels. With packages starting at INR 1999, totally unbeatable pricing for a spa like this and yet pocket friendly! Once you give it a shot, nothing will make more sense than splurging on their signature spa treatments. Need an escape from your daily hustle-bustle? No need to look too far for that getaway. Check out White Mantra near Old Airport Road to rejuvenate yourself amidst a ton of serenity & tranquility with all their wellness packages. Book your appointment through ditto because they have offers that will give you up to 50%! Get all your royal treatments with prices starting at only INR 1799. Treat bae to a couples massage or indulge in some self-pampering this this place. As awesome as their services, we hear that all their oils & products used for various treatments are 100% natural & chemical-free. If that doesn’t draw you, then the organic & simple vibe of this place certainly will. Popularly known as ‘The Organic Spa’, check it out on the ditto app for some amazing deals for you & your SO. This Bombay-based salon has successfully captured hearts no matter where they are. If you don’t believe, just ask any true Mumbaikar. Even though they specialise in all hair-related offers, they also have killer pedi-manis that will uplift your mood. But still, this is the go-to place for all your salon needs. Kerastase expert treatments, hair colouring & haircuts are their superpowers. Also, they have some great in-house products that are a must in your collection, especially if you colour your hair too often. With prices starting at as low as INR 499 for a haircut, you should definitely give this place a shot. Need to unwind? Head to HSR Layout’s go-to salon for all your basic salon needs at pretty affordable prices because their rates start at INR 499 only. They cover all your hair care treatments & waxing needs, in addition to full body packages in their homely salon. Their USP? The interactive & lively nature of their employees will keep getting you back to this place. Want uber luxury treatment? Get all that jazz at this cosy, simple place with prices starting at only INR 1249. The calmness after one of their extravagant massages gets amplified due to the simplicity of their ambience making this place certainly worth a visit. Plus, with the ditto app, you are sure to unlock some crazy deals for that much needed rejuvenation for your body & your soul. Enticed yet? These are just a few. Download the ditto app (Android & iOS) to get the best & standardized rates in town at all your favourite spas & salons. Also, they are giving all LBB readers a chance to try their services with a special one-time offer. Use the code DITTOLBB & get INR 200 instant discount + INR 200 cashback on your first booking. So what are you waiting for?